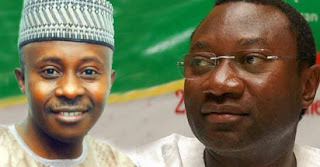 THE messy bribery scandal involving a member of the House of Representatives, Farouk Lawan, and owner of Zenon Oil and Gas Limited, Femi Otedola, took an interesting twist on Monday. First, The PUNCH learnt early yesterday that the bribery video might be aired on national television anytime soon. Our correspodents gathered that six video tapes and 16 audio tapes were likely to be made available to major television networks in the coming days. However, our correspondents could not confirm if the tapes were to be released by the State Security Service or one of the parties to the dispute. Also on Monday, one of the audio clips of the‘transaction was played by a Lagos-based independent Channels Television. The tape,which ran for about two minutes, contained a conversation believed to be between Otedola and Lawan. In the tape, a voice believed to be Otedola’s was heard discussing the venue, where the bribe money would be given to Lawan. The audio clip apparently indicated the duo was already in the middle of a conversation before the tape started rolling. It also indicated that one ‘TJ’ perhaps served as a go-between for the bribe giver and the bribe taker. From the conversation too, it could be deduced that the first instalment of the $620,000 allegedly paid Lawan by Otedola was delivered at an airport though the name of the airport remained unknown. It was also not clear who released the audio clip to the television station. Reacting in Abuja on Monday, Lawan denounced the audio tape recording, adding that it was manipulated. A statement signed by the counsel reads in part, “We are counsel to Mr Farouk Lawan. He has drawn our attention to an audio visual piece of news aired on Channels Television which purported to be a conversation between Mr Femi Otedola and our client, Mr. Farouk Lawan. “We have listened to and watched the audio with our client, Mr. Farouk Lawan. “On his instructions, we hereby state that the audio is infertile, vague, puerile and inadmissible in evidence by any court of law or Tribunal. Lawan also challenged Otedola, or the Police or the SSS to produce this complete audio video, unedited and undoctored. He said Otedola had the opportunity of doing this through Channels TV, but regretted that the oil magnate did not do this. “He will certainly require forensic evidence to prove this to be true in this highly technologised world of manipulative evidence that can easily turn a man into a woman,” the statement says. Lawan challenged Otedola to air the entire audio and also the complete video for Nigerians to see the setting and the environment in which the alleged bribe took place. 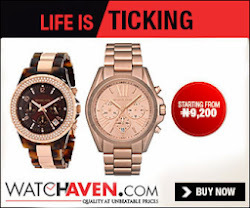 Even at that, he insisted that the audio showed that it was Otedola, who offered to pay the balance of the alleged bribe of 2.5 million US dollars and not that Lawan demanded it. Meanwhile, the House of Representatives Committee on Ethics and Privileges said on Monday that it would not allow Otedola to dictate how it should conduct its proceedings. The panel insisted that its sittings with the key actors involved in the $620, 000 bribery allegation must be held behind closed doors. There were speculations on Monday that Otedola, who is due to appear before the panel on Tuesday (today), had given a condition to honour the invitation only if the proceedings would be broadcast live. Chairman of the committee, Mr. Gambo Musa, told The PUNCH that Otedola had neither reached him nor any member of the panel to give a condition. OTEDOLA: How are you sir? I don’t want to bring it (money) to my house. OTEDOLA: No, I don’t want to bring it to my house. It’s a lot of money. You are in the airport now? OTEDOLA: Yes. At the airport; in an aircraft. LAWAN: And before they can come over now… unless I send somebody to the airport. I can’t leave by the time they come; I will be in the chambers. I have a lot of things to do myself. OTEDOLA: Is there anybody you trust that I can give it to? Or maybe I should just postpone my travelling to China till tomorrow? LAWAN: No, no, no. in fact I will arrange with someone. Let me give you his number. OTEDOLA: Hold on, hold on, hold on. OTEDOLA: What is the name? FEMI: Ok, so I will give him the balance. That is $2.5m. LAWAN: That is right. Just hold on. I am calling him to be sure his phone is through. OTEDOLA: Where will I meet him? LAWAN: Hold on, hold on, just hold on, just hold on. This is indeed a sorry case. I hope they get to the root of it soon.